The two most important things a man can do in his lifetime- Drive a car. Make his own whiskey. I’m in no way suggesting or encouraging you to start your own Boardwalk Empire (but if you do please dress the part) and though mankind (literally just the men) has been making moonshine since we discovered we could ferment just about anything into alcohol; I’m glad at least one whiskey company has decided it’s good business to let you do it in style. 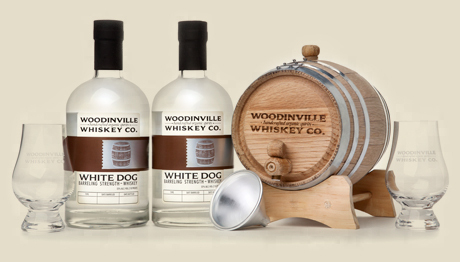 Ladies and gents, Woodinville Whiskey Co’s Age Your Own™ Whiskey kit. The best part? It only takes 3 – 6 months! 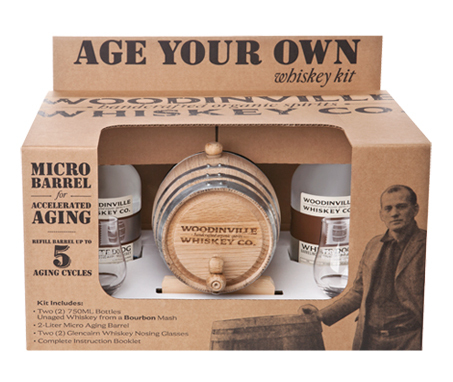 Age Your Own™ Whiskey kit puts you in the Captain’s seat for aging your whiskey to perfection. Patience not included. For those of you more adventurous types, there’s a great set of instructions for making your own whiskey over at Instructables. According to Dave Robison, owner of microdistillery Pioneer Spirits,”With practice and dedication you can make any spirit every bit as good as a commercial distiller.” You can read about him here.